Designers have begun showing off their new collections for Spring-Summer 2019. 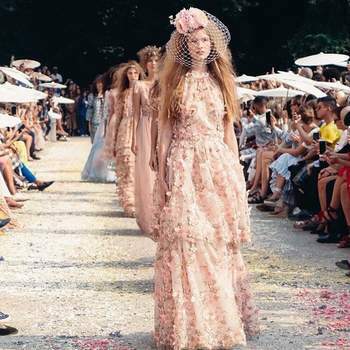 London and New York Fashion Weeks have come and gone, and so this time Milan had the spotlight – undoubtedly the home of the biggest and the best fashion houses. 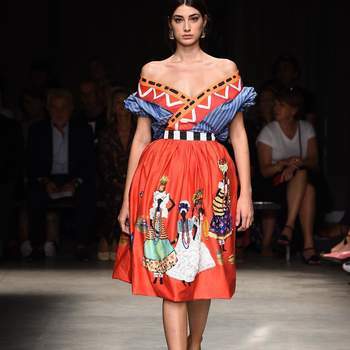 The catwalk that has garnered most media attention was, without doubt, that of Dolce & Gabbana, which immediately stood out due to the diversity of its models, and the famous faces who were involved with the show (including Monica Belluci, Carla Bruni, Isabella Rossellini and Emily Ratajkowski). Classic pieces were given a new spark of life, and there was a clash between minimalist styling, and the new trend of animal print. White has become one of the prevailing styles of Milan Fashion Week, and although we can’t recommend it for guest outfits, the variety of styles shown offer much inspiration. 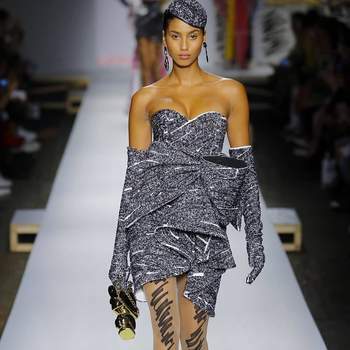 This is what Jil Sanders showed, whilst also playing around with black for her catwalk, whilst Versace bucked the trend and presented colour upon color, and a huge variety of embroidery work. 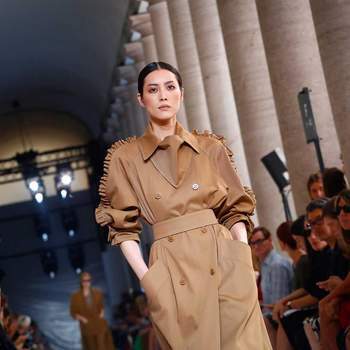 Gigi and Bella Hadid, Irina Shayk and Gaia Gerber all participated in the catwalk for Max Mara, where maxi dresses made a welcome return. 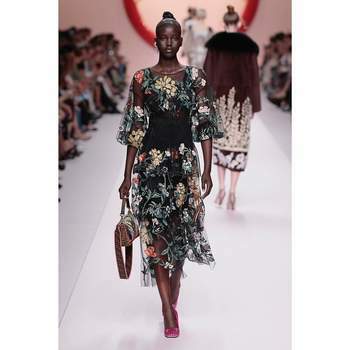 Alberta Ferretti was shown to favour neutral colors, in one of the most sophisticated shows of the event. 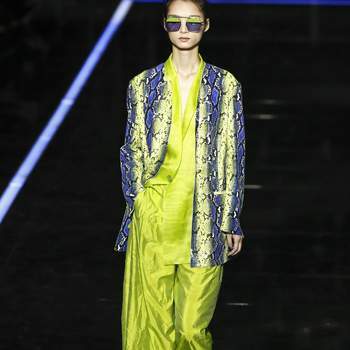 Armani triumphed with all-white designs, and then those which dabbled with bold colors, especially green, blue and fuschia. And within the collection of the always-eccentric Moschino, there was a surprise for everyone present – an appearance from Kendall Jenner. 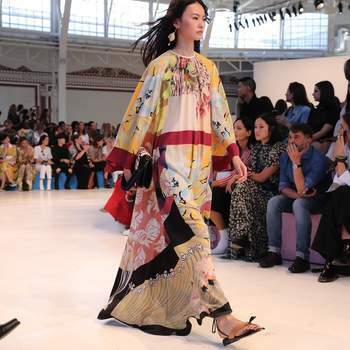 The patterns and designs which feature ethnic touches have also returned to the catwalk, used heavily in a contrasting effect. 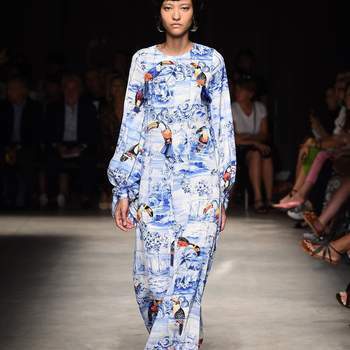 Stella Jean was one of the most prominent contributors to this style, although Etro also helped with its mix of colors and art. 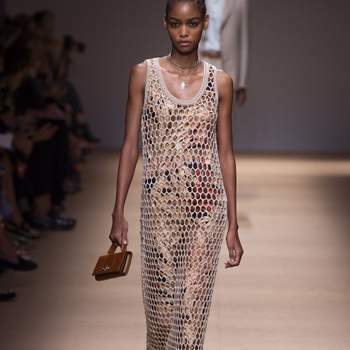 Missoni has also focused on color, but moreso on the reinvention of frills, which looks set to dominate the summer scene. 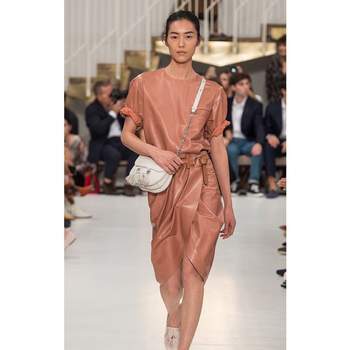 Silvers and leather features have shown themselves to be “in” for next season, featured heavily in Roberto Cavalli’s designs, which were shown off by the model Bella Hadid. 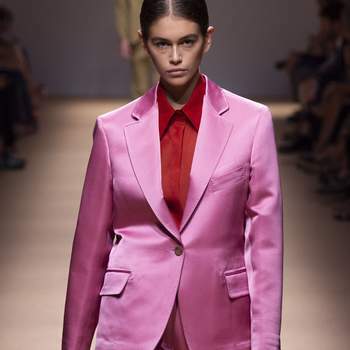 And on his part, Salvatore Ferragamo, restrained in some of his designs, has reinvented the runway with a gorgeous two-piece pink design that promises to be one of the winning styles of 2019. 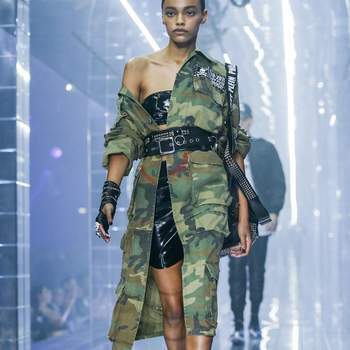 One of the most extravagant and provocative brands present in Milan was, once again, Philipp Plein, with his models showing off silver plating, leather accessories and military-style embroidery and decoration. 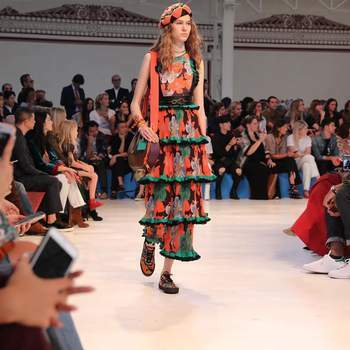 MSGM has triumped with its immense variety, without a particular underlying theme across their collection. 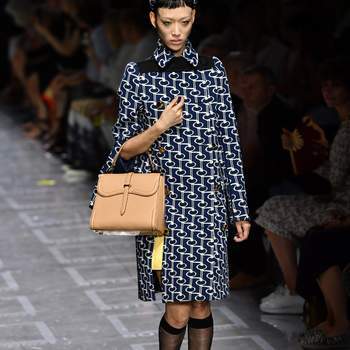 Blumarine has always been one of the most innovative and straightforward brands, bringing a fresh look every year. Tod’s has also always maintained this subtle style, but the use of leather this year has brought a boldness that we were not expecting. 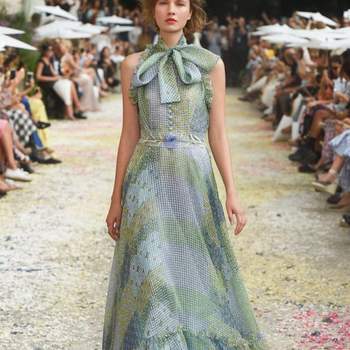 This gallery is a summary of some of the best looks that we have seen on the catwalk for the Milan Fashion Week – maybe you’ll find some inspiration for your next wedding guest look!